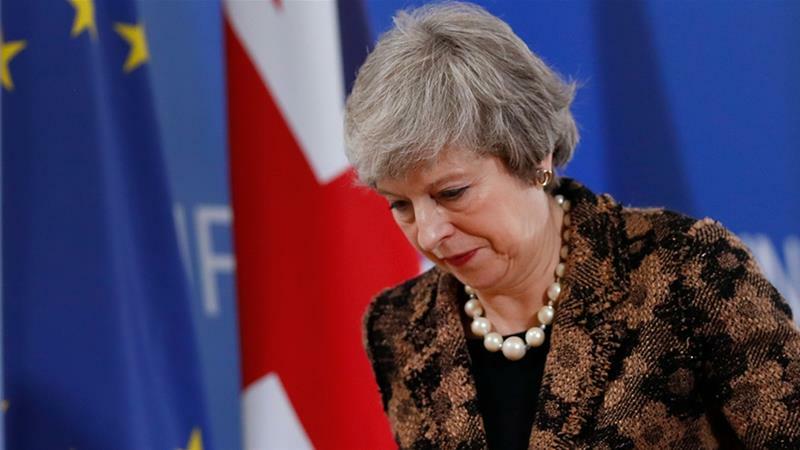 LONDON - Prime Minister Theresa May’s Brexit plans were in disarray on Tuesday as her government sought to plot a way around a ruling by the speaker of parliament that she must change her twice-defeated divorce deal to put it to a third vote. In a move that added to the sense of crisis in London and exasperation in European capitals - on the eve of a crucial EU summit and days before the March 29 exit date - speaker John Bercow ruled that her Brexit deal had to be substantially different to be voted on again. Brexit Secretary Steve Barclay said a vote this week on the deal was now less likely. But ministers were studying options, and he indicated the government still planned the third vote. If it left this way, Britain would quit the EU’s 500 million-strong single market and customs union overnight, falling back on World Trade Organization rules that could mean many import and export tariffs. It would face the prospect of manufacturing and financial market disruption, sharp economic contraction and border delays. Bercow said his ruling, based on a convention dating back to 1604, did not prevent the government from reshaping its proposition, or securing a vote in parliament to override his ruling. Barclay ruled out May asking Queen Elizabeth to cut short the entire parliamentary session, known as prorogation.